If you read my blog regularly or follow me on social media, you might have seen that I've recently teamed up with the lovely people at Vantage Motor Group to test out some of their fabulous cars. I was so excited when they got in touch as I'm actually on the market for a new car at the moment and this seemed like the perfect opportunity to try some out. 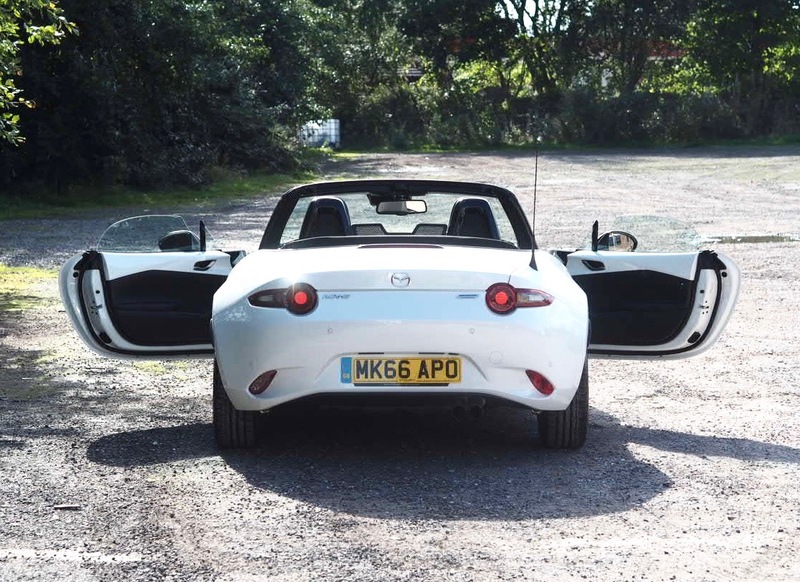 The car I've been testing for the past few days is the Mazda MX-5 and it's safe to say I LOVE this car. My boyfriend and I went to pick up the car last weekend from the Oldham showroom and were greeted by their lovely sales manager who gave us a look at the car and all it's features before giving us the keys to get going. It has some great features such as heated seats, touch screen internet app integration (yep, you can check Facebook from your car), built-in sat nav and the very handy engine start and stop button, just to name a few. 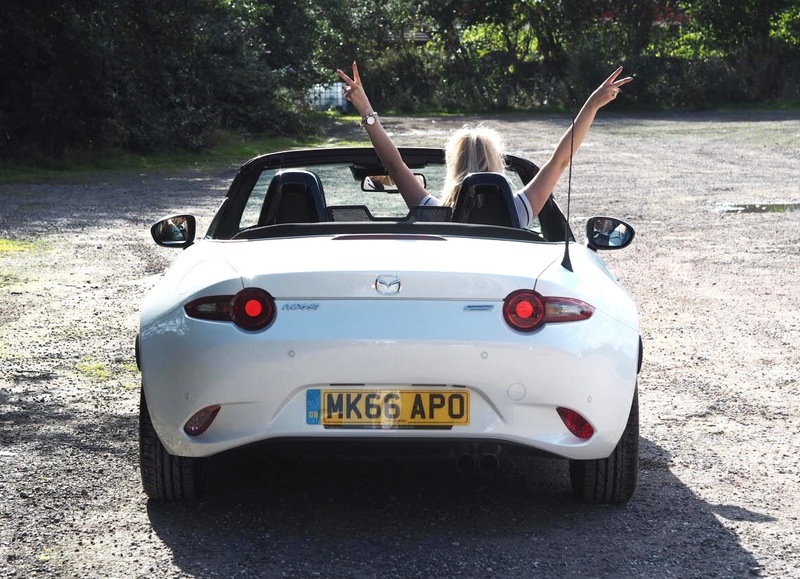 My boyfriend was completely in his element - as a big fan of cars, he'd heard a lot of good things about the MX-5 and couldn't wait to give it a try - check him out looking all excited in that photo, hehe! I was also really looking forward to driving it as I've never driven a convertible or two seater car before so I was interested to see how it would compare to a standard five door. As you can see, it's a small sporty car that has a really chic and streamlined look to it. I think it's the type of car that appeals to both males and females as it's sporty without being too sporty and 'laddy', if that makes any sense at all?! Basically, both me and my boyfriend were happy to drive it and neither of us felt out of place. 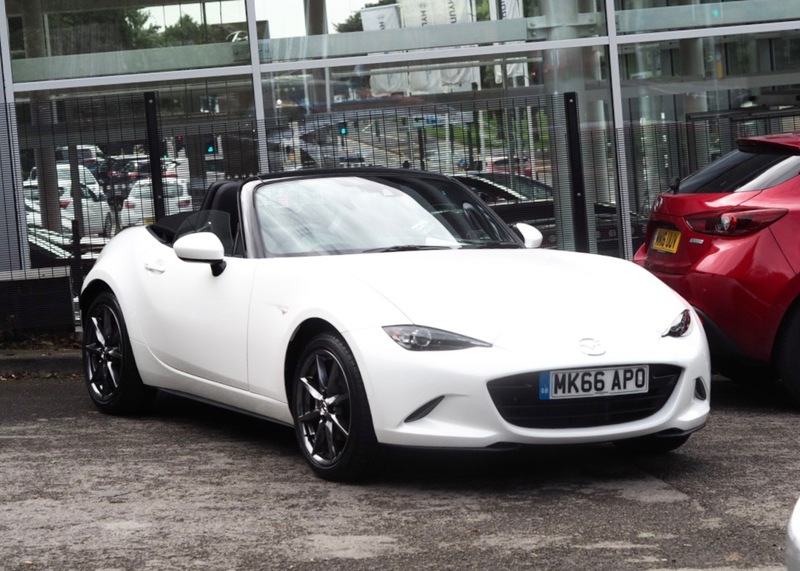 As well as the stunning exterior, the Mazda MX-5 also has a really luxurious interior with both leather and chrome finishes. I think the way a car look on the inside is just as important as how it looks on the outside, if not more so, as that's where you're going to be spending all of your time. I was worried we wouldn't have any leg room with it only being a two seater but the front seats were roomy enough and with the integrated boot, we used that to put our bags in, rather than flinging them on the back seat like we usually would. Another thing I loved about the interior was the gear stick as it was really short meaning it was so easy to change the gears. I usually hate driving manual cars and tend to stick with automatic for convenience but I didn't have any issues with this at all. In fact, I actually enjoyed changing the gears, and I never thought I'd hear myself say that. I let Matt drive the car away from the showroom as he was itching to give it a go - boys and their toys ey?! The first thing he commented on was how powerful the car was - the lightest touch of the accelerator and you're off. It's definitely a car for the thrill seekers out there as it's got a lot of power for such a small car. Luckily for us it was a lovely sunny day so we were able to drive off with the roof down which was amazing and definitely one of my favourite things about the car. I know the UK isn't known for it's fantastic weather but on those few nice days we do have, it's so nice to have that option to drive around with the roof down. 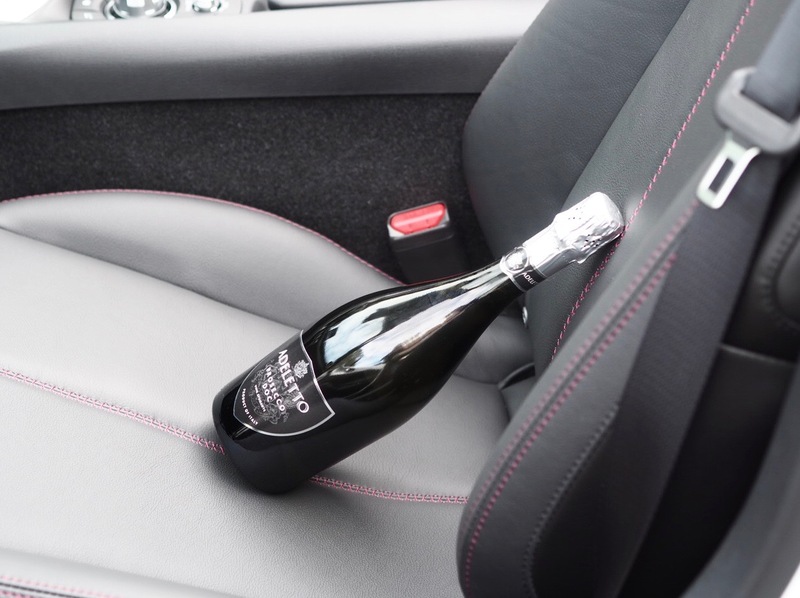 Now obviously with this being a small two-seater car, it probably isn't ideal for families (unless you can afford more than one car and want this as your 'fun' car) but for single people or young couples, this is perfect. The benefits of it being so small is that it's pretty easy to park, it feels really lightweight and smooth to drive and also has amazing power for those of your who love a fast ride. However, despite it's sporty style and powerful engine, it's also a really safe car to drive too and has lots of added safety features such as the Lane Departure Warning System which warns you if you're getting too close to the edge of a lane, a SKY-ACTIV body engineered 'triple H' body structure which helps protect passengers from impact forces and a blind spot monitoring system. 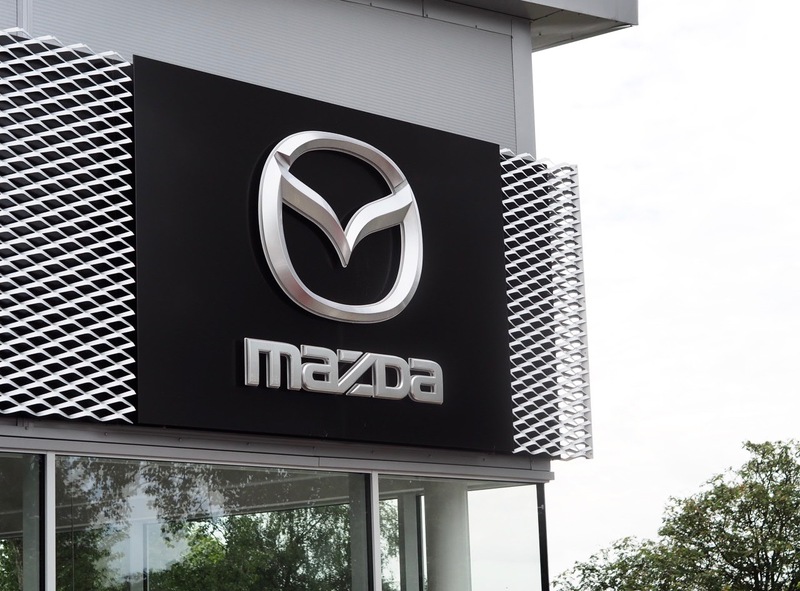 Again, these are just a few of the Mazda's feature - if I were to name them all, I'd be here all day. I also thought I'd quickly show you the outfit I wore while taking the MX-5 for a spin this weekend as I thought it was really cute and perfect for the upcoming A/W season - it even got the boyfriends seal of approval! I always thought pinafore dresses were for school children only and that I just wouldn't be able to pull one off but since getting this Dorothy Perkins number, my opinion has totally changed as I actually felt pretty cool and stylish wearing it. 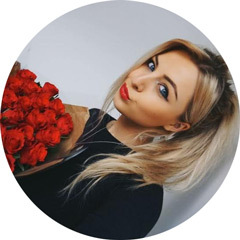 I paired is with a little stripey tee as it was a nice day but you could also wear it over a roll neck jumper when it gets cooler so it's a great versatile piece and I love the burgundy shade for the Autumn season. I also paired it with my Adidas Superstar trainers but again, you could switch these for tights and ankle boots or knee high boots when the weather gets colder!! I hope you enjoyed this post guys - this time last year I hadn't even passed my driving test so it's crazy that I'm now reviewing cars but it's SO much fun and I hope to try out some more from Vantage Motor Group very soon. Forget lipsticks, cars are my new obsession, hehe! 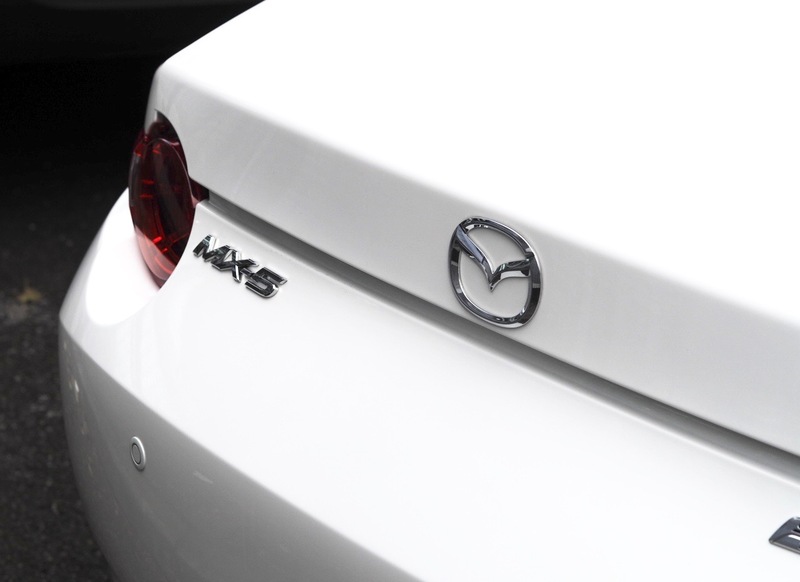 Do you like the look of the Mazda MX-5?! Looks like so much fun! Gorgeous car, I love it in white. It's the perfect color for you!